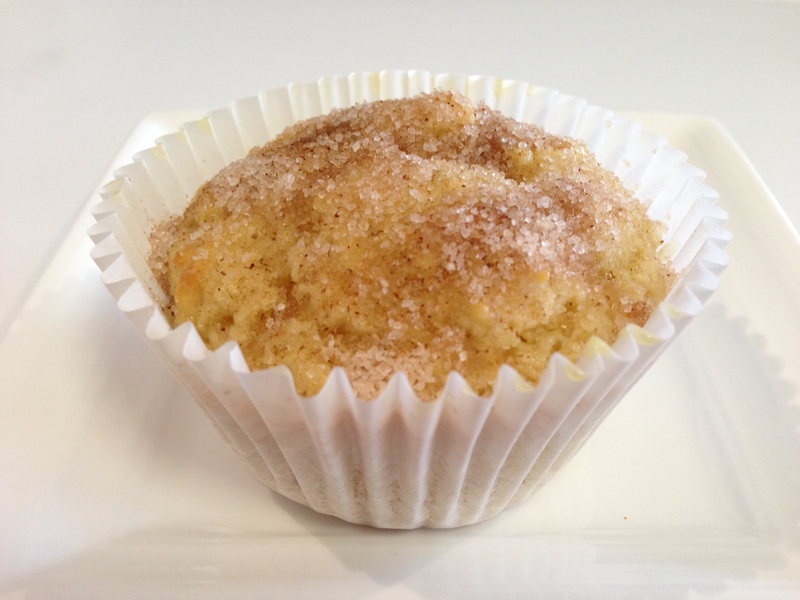 I saw this recipe floating around on Facebook a couple of weeks ago and it really grabbed me – who wouldn’t want to try a recipe promising muffins that taste like cinnamon doughnuts? These muffins delivered on their promise in taste, were simple to make from basic pantry ingredients that are readily on-hand and cost no more than $1.50 to make. Make these quick and easy muffins for last minute friends dropping by or for a quick solution for empty lunch boxes at the end of a busy week. Like all muffins, these don’t have an especially long shelf life, but they are freezer friendly and if you’re eating them after a day or two, a quick zap for 10-20 seconds in the microwave brings back a fair bit of freshness and restores them to something more like a warm cinnamon doughnut. For those avoiding sugar, simply replace the caster sugar measure for measure with dextrose (available from the beer brewing section at K-Mart or Big W). If you’re not too heavy-handed with the mixture it will make 12 muffins. Enjoy! 1. Preheat oven to 180 degrees celcius and distribute 12 paper cases in a 12 hole muffin tray. 2. Combine dry ingredients in a large bowl. Mix liquids in separate bowl or pyrex jug. Add liquids to dry ingredients and combine together well, without over beating. Spoon mixture into prepared muffin tins using two soup spoons (but don’t overload them). Bake for 15 mins though start checking at 10. When muffins spring back a little, they’re ready. 3. While muffins are baking prepare sugar topping: combine sugar and cinnamon in a small bowl and melt butter in yet another bowl. As soon as muffins come out of the oven, dip each one into melted butter and roll into sugar & cinnamon mixture, or brush with butter and top with sugar mixture if muffins are too hot to handle.